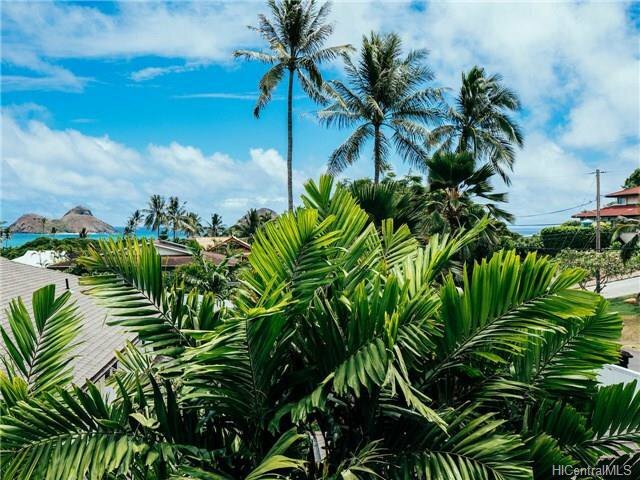 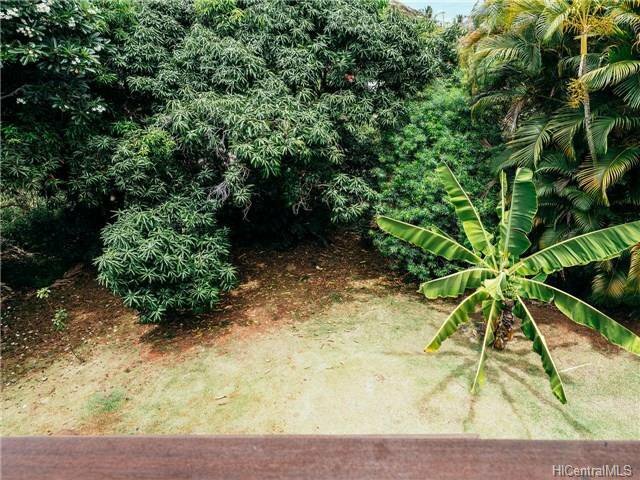 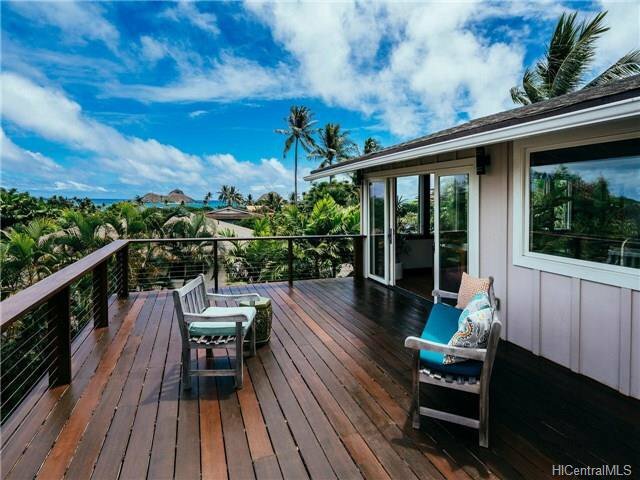 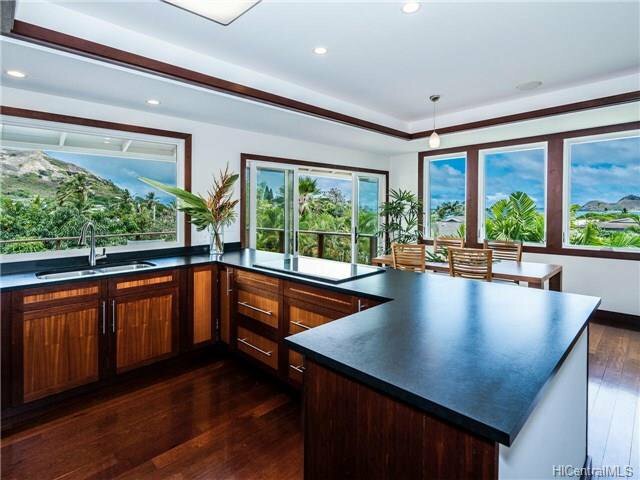 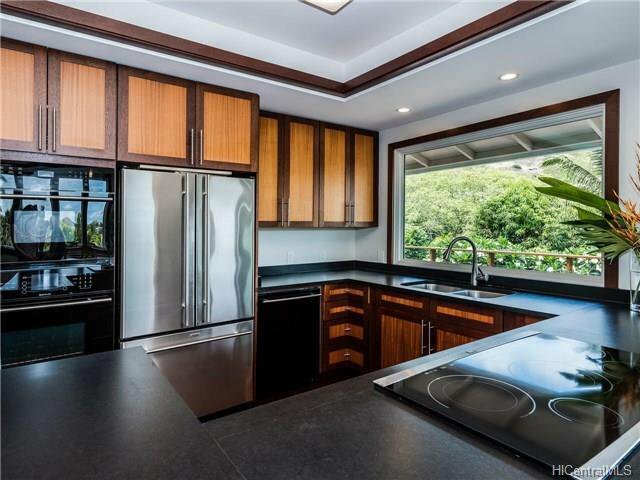 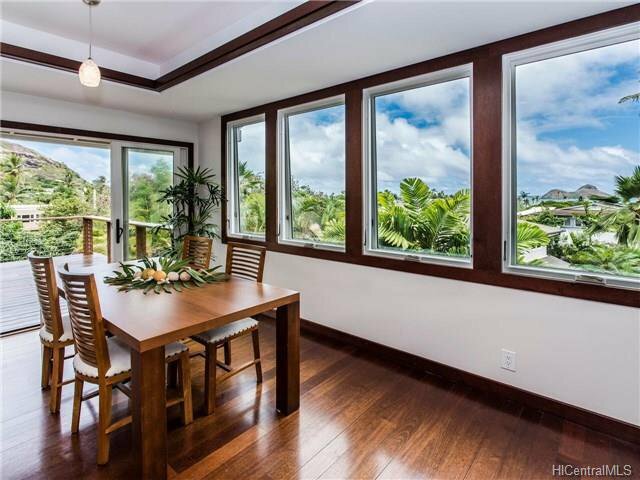 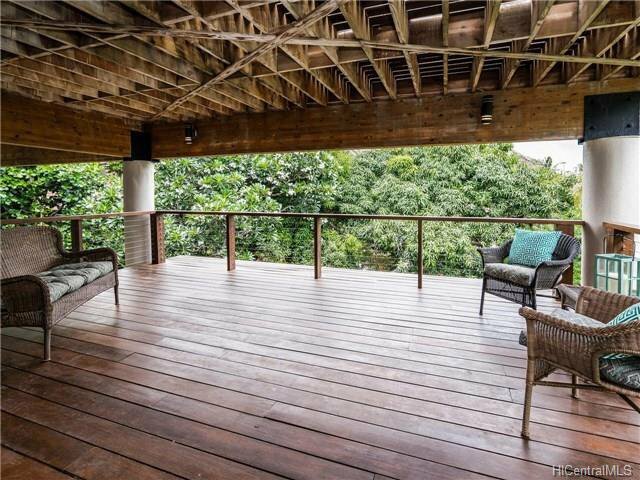 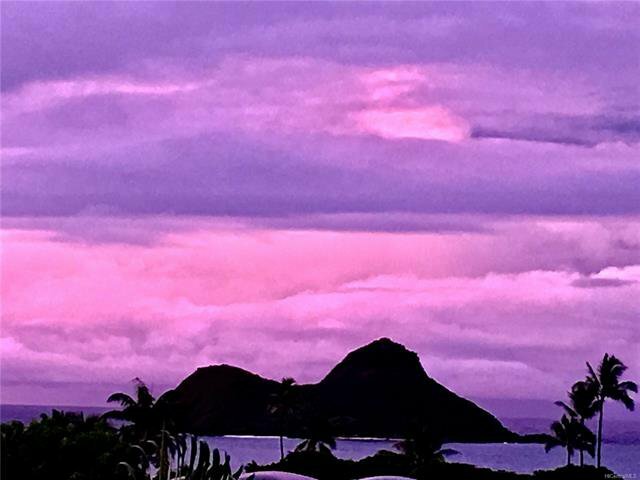 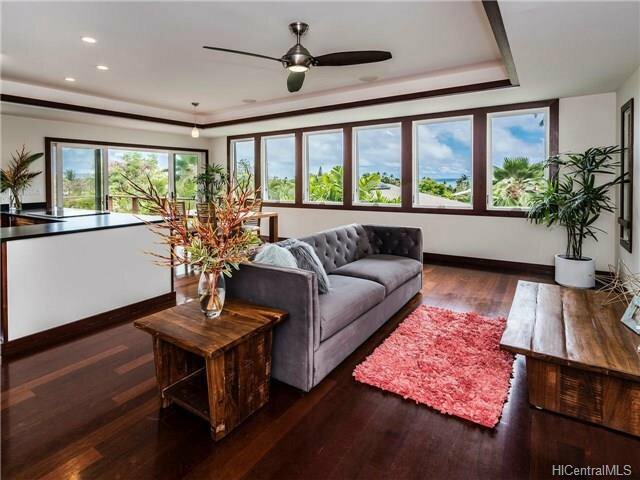 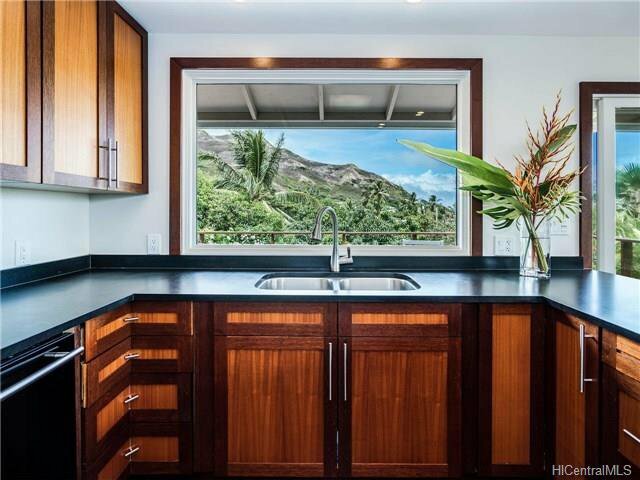 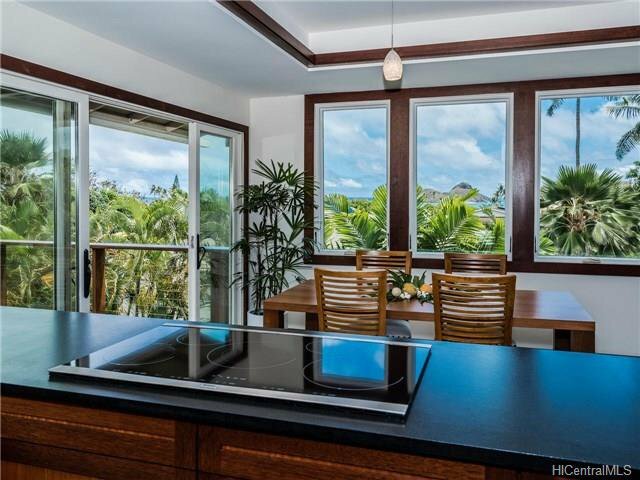 Captivating Ocean & Mokulua island views from this hillside Lanikai home! 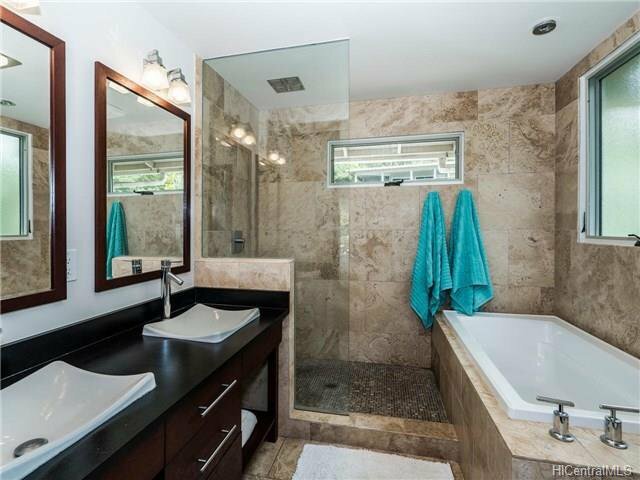 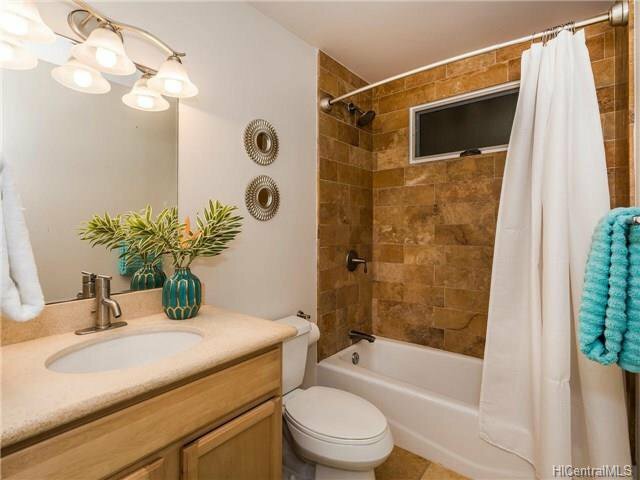 Remodeled in 2009 with quality finishes and exotic Merbau floors/doors/ trim. 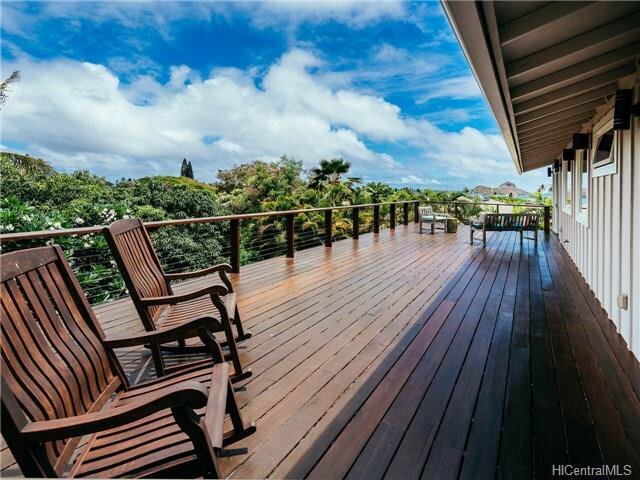 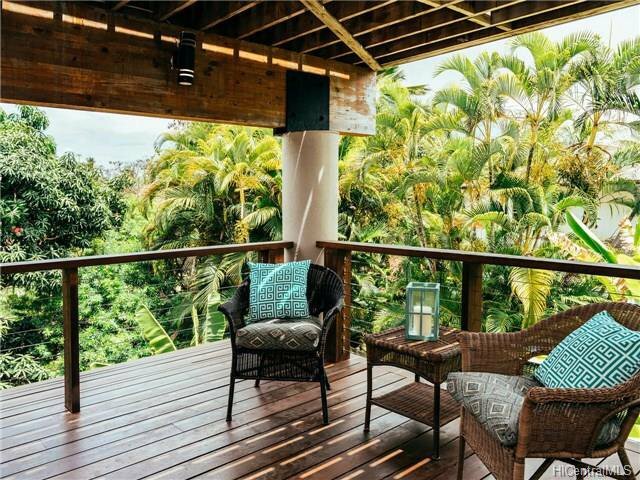 Entertain on the enormous lanai spanning the entire length of the house, which is made of Indonesian Ironwood (Bankirai) and offers mountain & ocean views while overlooking the lush yard with an abundance of fruit trees and tropical flowers. 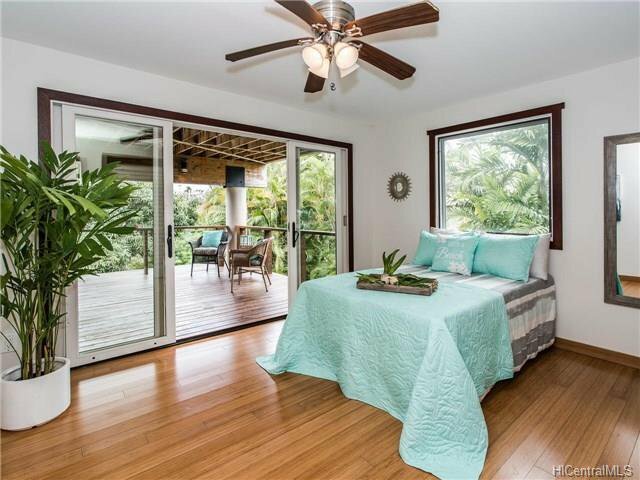 Open and airy floor plan is complemented by the expansive Kolbe windows allowing cool tradewinds to flow through the home. 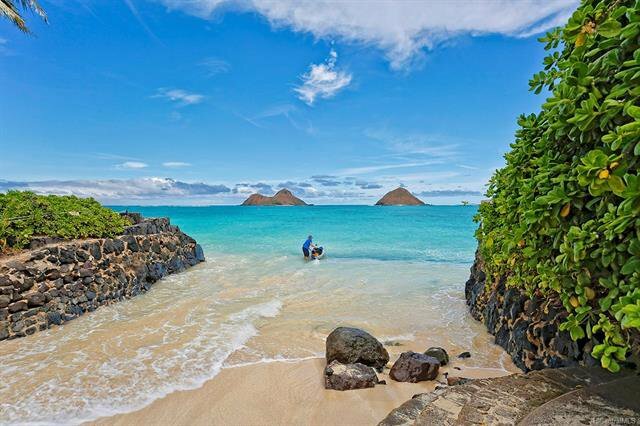 Amazing covered and enclosed storage for kayaks/boards. 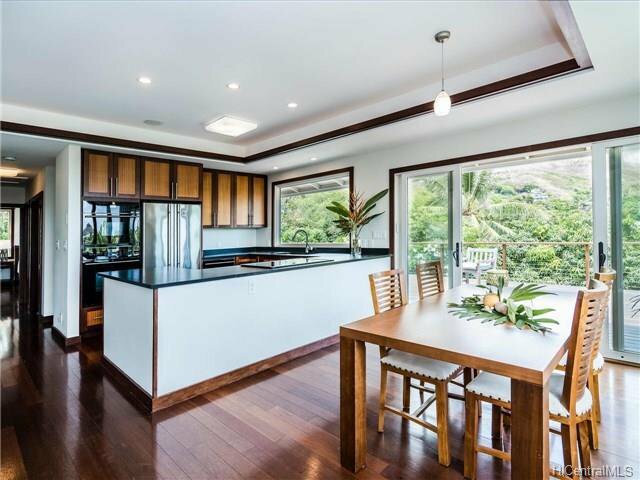 Energy efficient with insulation in walls/ceiling, LED lighting, and solar water heater. 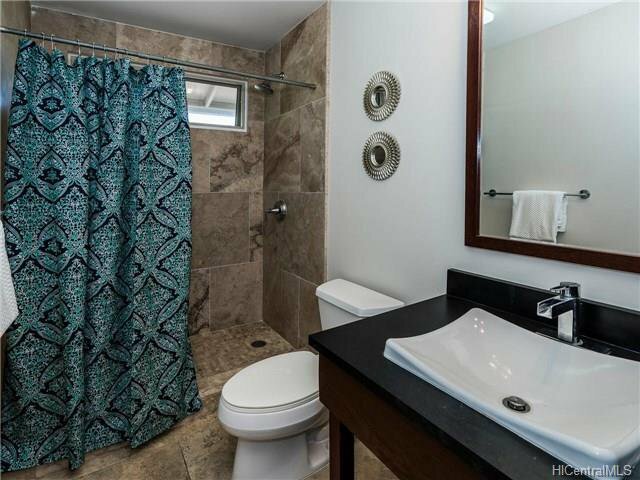 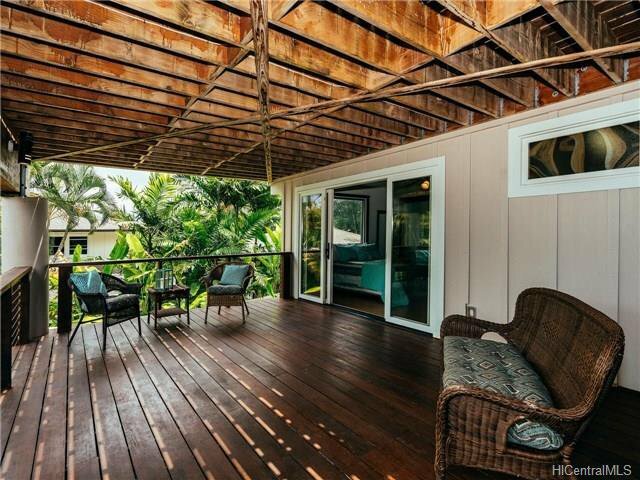 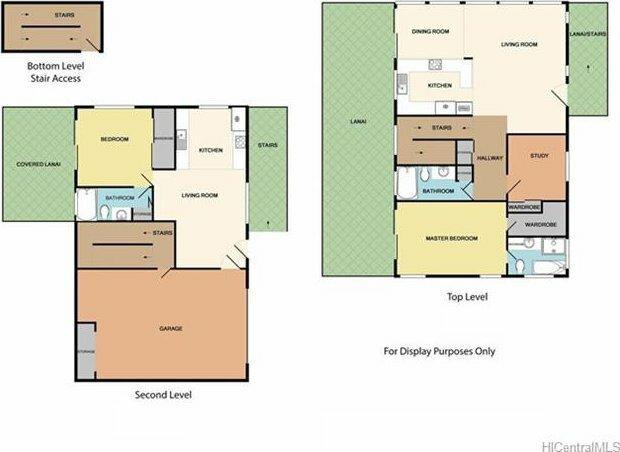 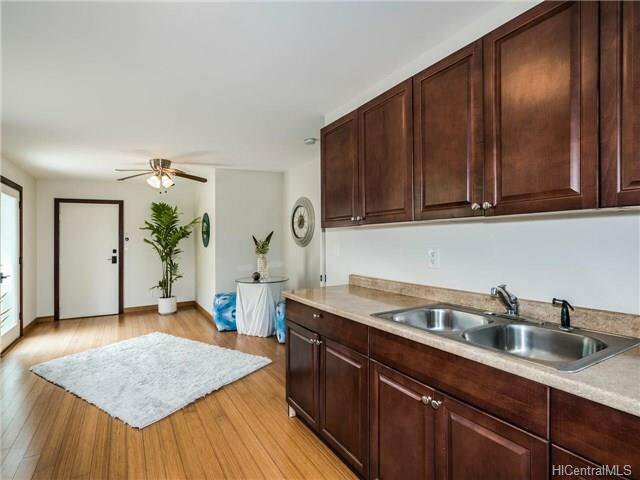 Separate entry to 1 bedroom/1 bath on lower level with its own lanai & wet bar. 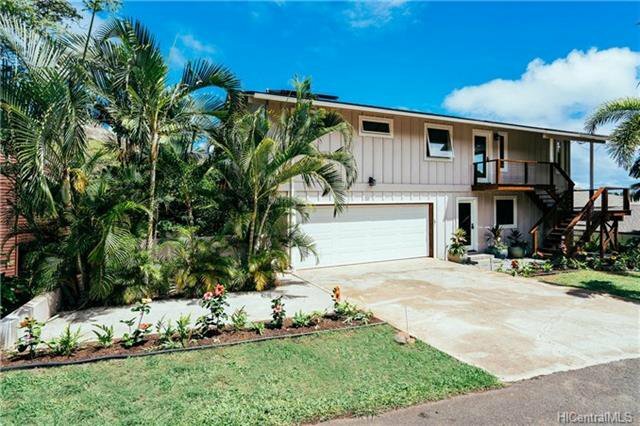 Located in the preferred Ka'ohao (Lanikai)School district.